The European Bank for Reconstruction and Development (EBRD) and the European Union (EU) are opening the EU4Business-EBRD credit line with the limit of EUR 60 million to finance projects of small- and medium-sized enterprises (SME) in Ukraine, EBRD Managing Director, Eastern Europe and Caucasus Matteo Patrone said at a presentation of the project in Kyiv on Friday. He said the credit line with a limit of around EUR 60 million is intended for SME for using opportunities opened in relation with the Deep and Comprehensive Free Trade Area (DCFTA) Agreement signed by the EU and Ukraine. Patrone said that borrowers using this credit line will be able to receive long-term loans in the amount of up to EUR 3 million. The loans will be issued in hryvnias. The credit line is integration from the point of geography and economy, he said. After the establishment of the DCFTA between the EU and Ukraine, local companies obtained many opportunities. The launch of the EU4Business-EBRD credit line allows local SME, which provide almost 80% of jobs in Ukraine, but generate only around 40% of GDP, to have an additional access to financing to develop, become more competitive and meet EU standards, Patrone said. For projects within the EU4Business-EBRD credit line that will meet certain requirements, incentive grants are also provided to cover up to 15% of the cost of projects. Patrone said that the funds under this credit line will be provided through state-owned Ukreximbank, which received the equivalent of EUR 22 million for this program, and OTP Leasing, which received EUR 10 million in equivalent. Additional credit resources of around EUR 28 million will be available for other local financial institutions to join this program. Head of the EU Delegation to Ukraine Hugues Mingarelli said during the presentation of the project that similar credit lines are opened to Georgia and Moldova. The EU is trying to ensure that these credit lines benefit Ukrainian SME, as well as promote economic growth in Ukraine and strengthen economic relations between the country and the EU. In 2018, exports of Ukrainian goods to the EU grew by 15%, while imports of goods from EU by 11.5%, he said. The EU believes that the DCFTA credit lines contribute to the preservation of these positive trends, Mingarelli said. 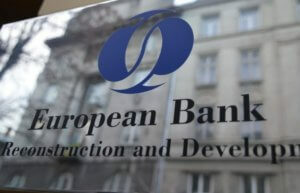 The European Bank for Reconstruction and Development (EBRD) under the Ukraine Public Transport Framework project to improve public transport infrastructure signed four loan agreements worth EUR 38 million in total with trolleybus utilities of Mariupol, Kryvy Rih, Kharkiv, and Zhytomyr in January-November 2018 against municipal guarantees. 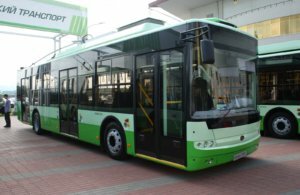 In particular, it signed a EUR 13 million agreement with municipally owned Mariupol Tram and Trolleybus Administration in July, while agreements worth at EUR 8 million each was signed in September with municipally owned Urban Trolleybus (Kryvy Rih) and municipally owned Trolleybus Depot No. 2 (Kharkiv). Late in November, the EBRD signed an agreement with municipally owned Zhytomyr Tram and Trolleybus Administration to the tune of EUR 9 million. 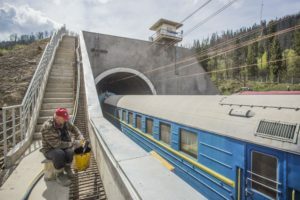 Under the project, the loans are additionally backed by EBRD loans from the Clean Technology Fund (CTF) and grants from the Eastern Europe Energy Efficiency and Environment Partnership (E5P). According to the Antimonopoly Committee of Ukraine, in the case of Kryvy Rih, the city provided a guarantee for EUR 10 million, as the bank gives its municipal enterprise an additional EUR 2 million loan from the Clean Technology Fund. CTF loans for Mariupol and Kharkiv also accounted to EUR 2 million. The loans are issued for 12 years with repayment in equal parts every six months after a two-year grace period. Kryvy Rih’s interest rate on principal debt is set at 5.75% and is pegged to the rate of 6-month Euribor rate with the possibility of lowering. It depends on the city’s rating and the borrower’s compliance with the required financial ratios. At the same time, the rate for a CTF loan is only 0.75%. 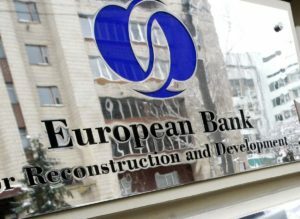 The European Bank for Reconstruction and Development (EBRD) has issued a loan of EUR 2.6 million to Negabarit-Service LLC (Volyn region), one of the leaders of the domestic market for oversized and complex cargo carriage by road, to finance an investment program providing the procurement of up to 42 GPS-equipped tractor trucks and 18 trailers. According to a correspondent of Interfax-Ukraine, the loan agreement was signed in Kyiv on December 20. 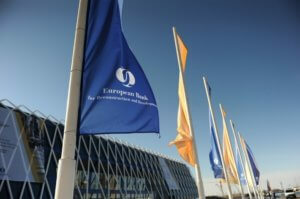 The loan will be accompanied by a grant of up to EUR 100,000 under the EU4Business program and a stimulating grant of $452,000 under the EBRD’s FINTECC program launched by the bank in Ukraine in February 2016 to support the introduction of new technologies for climate change mitigation and adaptation to them. It is assumed that the new trucks will reduce the operating costs of Negabarit-Service by at least 30% due to the reduction of fuel consumption and the cost of maintenance. They will meet environmental standards of at least Euro-6, which will help reduce emissions of nitrogen oxide by 80% and carbon oxide by 22%.